Jeff earned his PhD in Comparative Literature from the University of Georgia in 2006 and is an Associate Professor of Film at the University of North Georgia. His professional interests range from creative to scholarly and all points in between, with everything revolving around his love of motion pictures. In addition to academic scholarship, Jeff has reviewed movies for several years, has served as a juror or moderator for several film festivals, and is the executive director of the Georgia Film Festival. Hailing from Grayson, Georgia, Alyssa Armand became a cinephile at an early age. 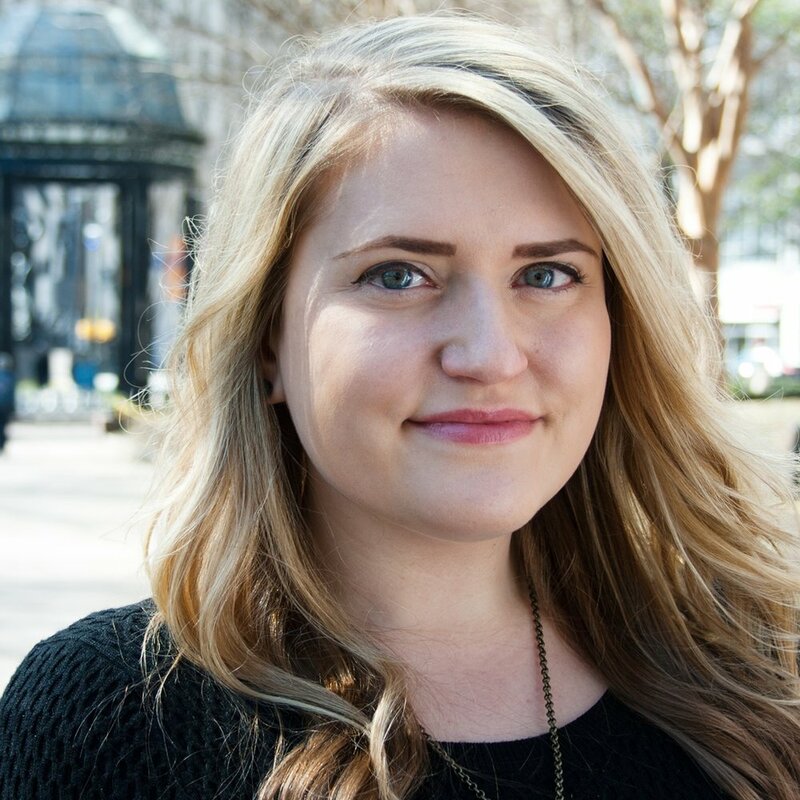 She joined the Atlanta Film Society staff in the fall of 2014, serving as the Shorts Programmer for two years before taking on the role of Programming Director in early 2017. She holds Bachelor's degree in Film & Video from Georgia State University. Lou Simon is the writer, producer and director of four feature films since 2013: "HazMat," “Agoraphobia,” “All Girls Weekend” and “3.” All of her films have obtained distribution in various territories throughout the world and won several awards at various film festivals. Lou, herself, has won Best Director. Molly began her film career working by day full time in the art department for shows like The Carbonaro Effect and The Walking Dead. By night, she has always championed independent film. With a solid core and hands-on experience behind her, Molly has now lent her design, and fabrication skills to television shows such as Stan Against Evil, Brockmire and FX series Atlanta, feature films like Steel Country and V/H/S Viral and even stage and puppetry shows. In the meantime, Molly is the creator/director of the puppet short film "Magic The Gathering The Musical", and the spec pilot "Pepper's Place" among other director for hire opportunities. She is an Atlanta Film Society Filmmaker-in-Residence, and is not only the owner of the fabrication studio/production company Zombie Cat Productions but also co-owner of cleared artwork company Action Artwork Rental. She also records weekly podcasts with her co-consiprator Charles Thomas called Atlanta Film Chat where they focus on what Atlanta can do to make the local film community stronger. Molly is a member of IATSE 479 and the Art Directors Guild and can be seen on Lifetime's HERstories. Cameron McAllister is a unabashed, born-and-bred Georgia boy. In 2011, he founded Reel Georgia (which is now a part of Georgia Entertainment News) and the Georgia Film Critics Association. He currently serves as the Associate Director for the Atlanta Film Society (which operates the 43-year-old Atlanta Film Festival) and is the former Executive Director of the Rome International Film Festival. In his spare time, he enjoys ignoring text messages, eating hot dogs and thinking about Tina Fey. Gabriel Wardell advances communications an associate director of editorial content at Emory in Atlanta and is a part-time instructor in the department of Communications, Music, and Journalism at University of North Georgia. He has served as the Executive Director of the Atlanta Film Festival and Athens Ciné, and also co-produced the Atlanta 48 Hour Film Project for eight successful seasons. His other film experience includes producing the first edition of SILVERDOCS (now AFI DOCS), programming at the AFI Silver Theatre, the Maryland Film Festival, the Sonoma Valley Film Festival, Fringe Atlanta, DecaturDocs, and Cinema Sundays at the Charles. Gabe's festival experience began in the celluloid era as a projectionist of 16mm and 35mm films for Slamdance. He has served on grant review and nominating committees for the Fulton County Arts Council, Georgia Council for the Arts, United States Artists, and Creative Capital, and juried film festivals including the Georgia Film Festival, WIFTA, Macon Film Festival, MicroCineFest, Slamdance, Sidewalk, and IndieMemphis. A regular speaker at the Landmark Theatre's Midtown Cinema Classics series on Tuesday evenings, Gabe has been published in Filmmaker Magazine, Film Threat, The Baltimore Sun, Baltimore City Paper, IndieWIRE, and Creative Loafing. His essay about A.I. in cinema was a finalist for the David Carr prize at the 2017 SXSW Conference. Brantly Jackson Watts is an Atlanta writer and director specializing in character-driven, southern gothic narrative and documentary film. Currently, Brantly serves as a senior Atlanta Film Society Filmmaker in Residence. She is also a creator of the Homespun Series, a curated series of character-driven documentary films directed by Atlanta-area filmmakers. Recently, Brantly worked with local filmmakers and the Atlanta Film Society to establish the New Mavericks year-round program in order to support women in the local Atlanta community to achieve a strong voice in the film industry. Brantly served as the program's first Chair. In addition to her work with metro-Atlanta organizations, Brantly serves as program manager of the SCADFILM public-facing initiative at the Savannah College of Art & Design, where she curates festivals, masterclasses, lecture series and guest screenings for film, television, gaming, animation, visual effects and extended reality. Previous SCADFILM guests include Zac Posen (fashion designer), Kim Krizan (co-writer, 'Before Sunrise'), Peter Saraf (producer, 'Little Miss Sunshine') and Edward James Olmos (actor, 'Stand and Deliver'). Andrew Black is a lecturer in mass media at Valdosta State University and also serves as the Program Director for the South Georgia Film Festival. His specialties are in media production and media law. He is a graduate of Bowling Green State University and a double alum of The University of Toledo. Eric L. Haney, decorated military veteran of twenty years’ service as an infantryman, Ranger and original Delta Force member. Haney was one of America’s first counter-terrorist operatives with decades of experience in Latin America, North Africa, and the Middle-East. Now he’s an adventurer, author, screenwriter, and television producer. Van Jensen is an author and filmmaker with credits including The Flash, James Bond: Casino Royale and Green Lantern Corps and the upcoming graphic novel Two Dead (Simon & Schuster). Jensen previously served as director of publications at the Georgia Tech Alumni Association, where he led an award-winning relaunch of print and digital publications. A former newspaper crime reporter, Jensen has written for numerous national magazines and newspapers. He broke into comic books in 2009 with the graphic novel Pinocchio, Vampire Slayer and went on to write for DC Comics and several other publishers. In 2016, he was named a U.S. Comic Book Ambassador by the State Department. Marcus Rosentrater is an Emmy-nominated film and television producer, director, and video creator. Through festivals large and small, such as IDFA, Big Sky Documentary, Cinequest, and Atlanta Film Festival his films have screened in theaters, museums, microcinemas, and art galleries in over 50 cities worldwide. His work as Animation Director for FX Network's 'Archer' helped earn three Emmy nominations and one win for Outstanding Animated Program. As a video creator his work has been seen by millions online through coverage in global publications such as Esquire, LA Times, Wired, and Time Magazine. Under his decade long partnership with Gideon Kennedy, Climenole LLC, they have produced their own original award-winning feature and short length films and are currently expanding to produce work of contemporary writers and directors. Gregory is a filmmaker working and living in Idaho. Since 2009 he has produced and directed two documentary features, Jens Pulver | DRIVEN (2011), and Bloodsworth–An Innocent Man (2015). In 2014 he co-created (with Christian Lybrook), and directed the pilot for the online series Zero Point, which was developed through the IFP Screen Forward Lab, and premiered as part of the 2015 Tribeca N.O.W. program. In 2017 he made his narrative feature debut as a writer/director with the “wildly entertaining,” “stylish” noir-comedy 6 Dynamic Laws for Success (in Life, Love & Money). The film, currently on VOD, took home Best Narrative Feature at the 2018 Barbados Independent Film Festival, a Special Jury Award at the 2017 Rome International Film Festival, and has been lauded for Bayne’s cinematography by The Hollywood Reporter, LA Times, and Film Threat. 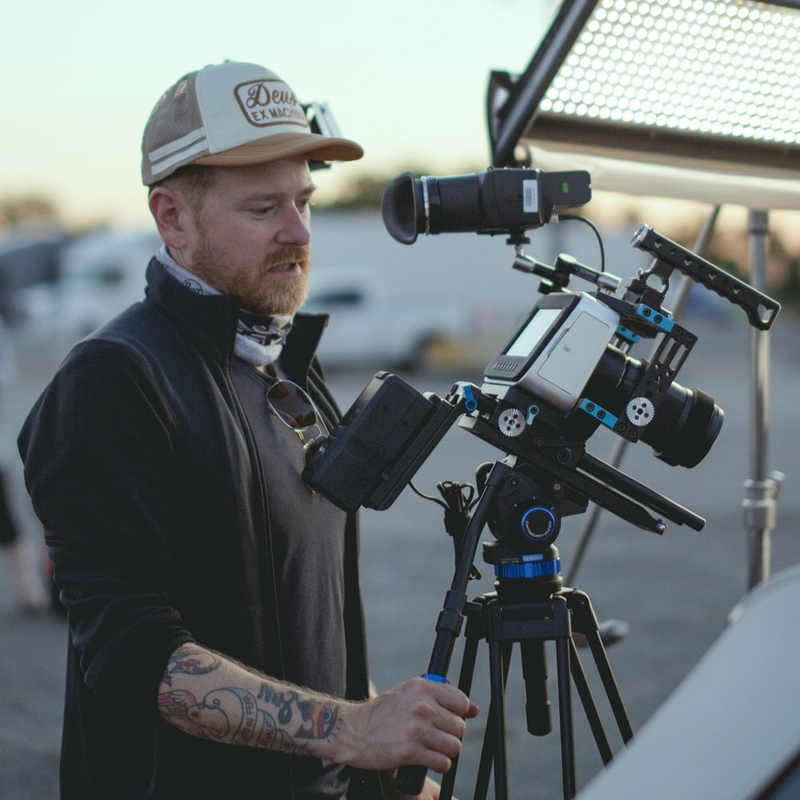 Currently, Bayne is busy working as a cinematographer having shot 5 short films in 2018, including his new film The Sleepover. An Atlanta native, Charles is a veteran film festival organizer and programmer with over a decade of experience. He was the programming director for TERMINUS Conference + Festival, a film and gaming event for emerging creators. Before that he was Artistic Director for the Atlanta Film Festival, where he was on staff for seven years. In 2014, he created and launched Film Bar Mondays, a weekly event for filmmakers in Atlanta, now with sister events in Jacksonville and Tampa Bay. Chris Holland runs Event Operations for the Atlanta Jewish Film Festival and a consultant on marketing and festival strategy for independent filmmakers around the world. He is also the author of Film Festival Secrets: A Handbook for Independent Filmmakers (filmfestivalsecrets.com). For more than a decade Chris has worked on all sides of the festival circuit, including time spent at B-Side Entertainment, Slated, IFP, the Austin Film Festival and Atlanta Film Festival. He believes that hot dogs are not sandwiches.